SHOWROOM CLOSED FROM 5PM THURSDAY 20TH DECEMBER AND RE-OPEN MONDAY 7TH JANUARY. 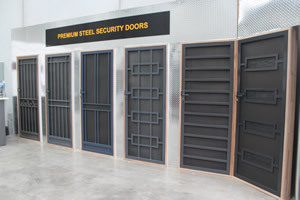 We have huge range of security doors on full display (fully installed) please don’t hesitate to visit or just call and make a appointment so we can spend more time with you. Our showroom is fully interactive with iPads showing you different displays and security doors we have installed for your convenience. We have steel, heritage steel, steel and aluminium combination, cast aluminium, standard aluminium on display powdercoated in all different colors to hopefully show you how diverse our range can be. 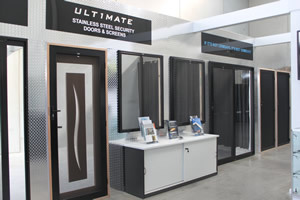 MSD Melbourne have a wide range of security doors on display at our showroom in Ravenhall. 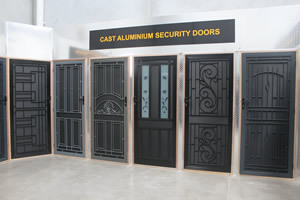 For more information please call us on 03 8390 5050 or visit our security doors showroom. 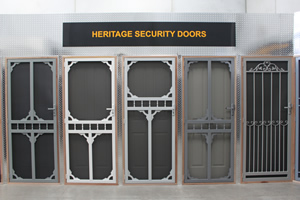 We have a complete and extensive range of security door designs, grills and fly screens. Our range starts from standard aluminium, moves to cast aluminium and we have steel and aluminium combination. Then of course full steel constructed doors and Crimsafe which will give you the ultimate security for your home. PROTECTING FAMILIES FOR MORE THAN 20 YEARS!